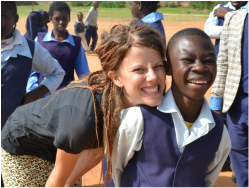 ​Open Doors is a school in Jos, Nigeria for students with disabilities. It consists of 7 levels of special education. There are also services such as physiotherapy and speech and language therapy available for the students who require it. They offer vocational training where students can learn to cook, sew, garden, etc. The school has a reading clinic for adults from the community to develop literacy skills. When Rachel is not working as a physiotherapist in Thunder Bay, Ontario she can often be found out in the country running around with a pack of sled dogs. She enjoys travelling and is always up for an adventure of any kind! This meant it was not hard for Stacey to convince Rachel that she should join her in a half marathon in Antarctica. 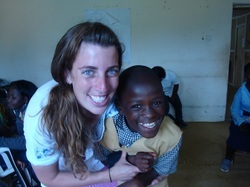 Rachel spent time volunteering at Open Doors in 2008 and 2012 and hopes to return someday. Stacey hails from the country side of Thunder Bay, Ontario but now resides in Edmonton, Alberta. It is her goal to do a half marathon on each continent. So far Stacey has conquered North America, Australia, and Asia. She has had two spots reserved on the Antarctica marathon for a few years and 2016 is finally the year it is going to happen! Stacey volunteered at Open Doors in 2006 and 2010 and also hopes to return.